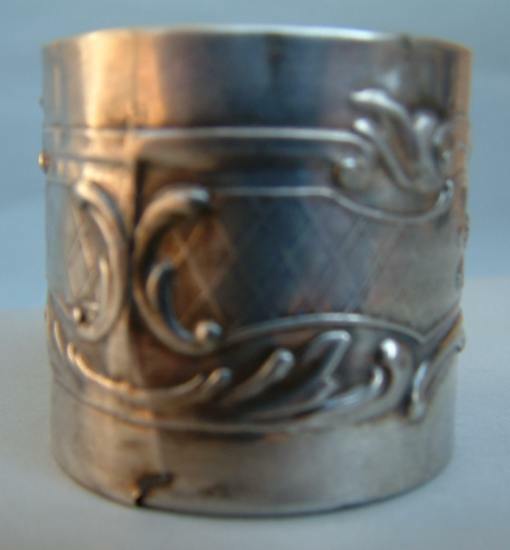 this silver napkin ring was made in Italy around 1935/1940 and is marked with "800" and the "punzone del fascio". 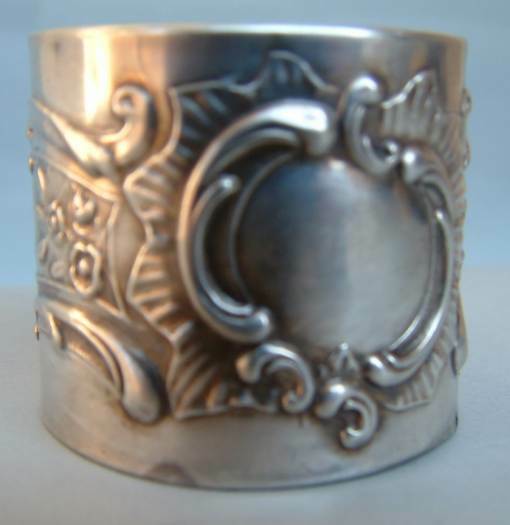 It is embossed with floral motifs around a circular reserve. 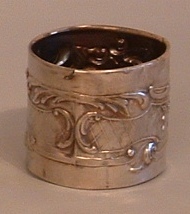 The napkin ring is 1 1/2 in. high (cm. 3,5) and was bought from an Italian dealer at an Antique Fair.